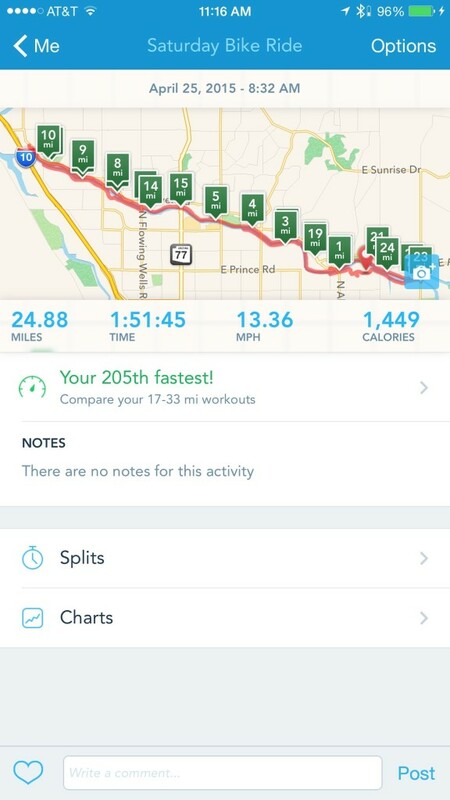 I won’t bore you with reiterating my initial impressions of the Moto 360 as a fitness device, but I learned enough new things during a bike ride this morning that I thought it was worth sharing in a second post. 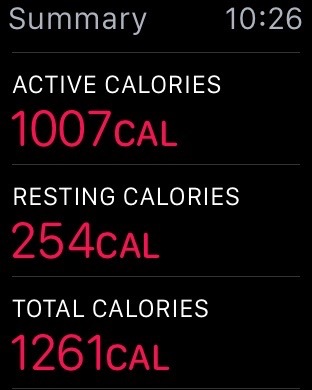 Battery drain was about the same the second day, so it’s pretty consistent in that regard. 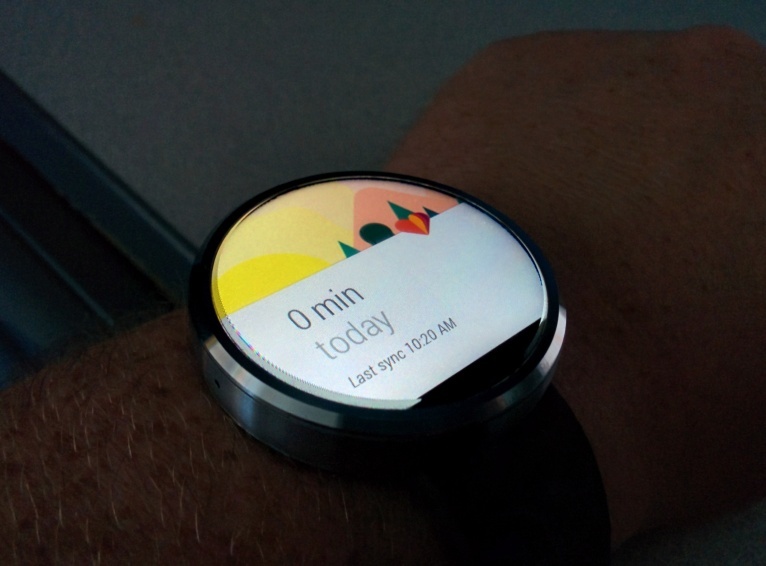 I really wish there was a way to set the 360 so that pressing the physical button would wake the watch to whatever app you were using, rather than to the watch face, as I think a huge amount of battery life could be saved that way. 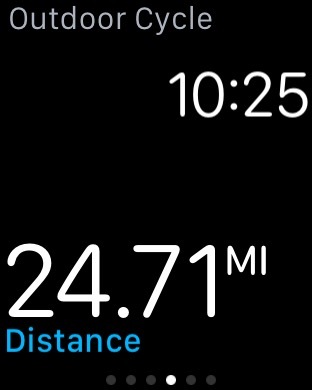 Considering I already have to tap the screen to make the RunKeeper UI readable in bright light anyway, this wouldn’t be any more trouble. 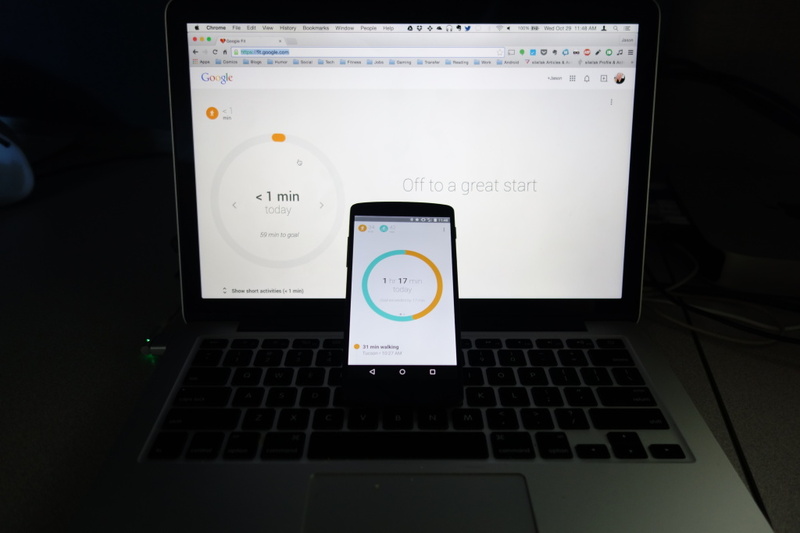 I can, of course, still manually sleep/wake the device – and may try that on my next run to geta better feel for battery life when used that way – but then it requires more swipes to get back into the RunKeeper UI. 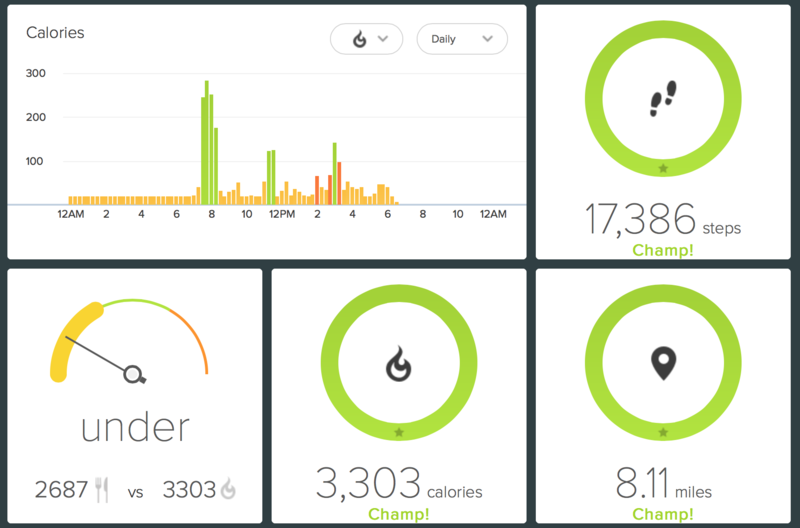 This leads into my one major issue with the 360 as a fitness tracker, which is that it seems pretty great at collecting data, but not very good at aggregating it. 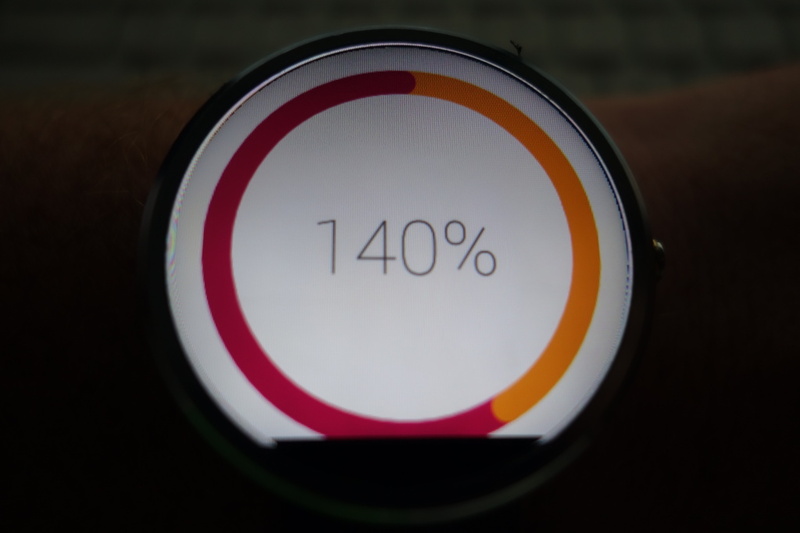 I’m hopeful this will change with the release of Google Fit in Android L, but right now, it’s confined to the watch and, apparently, Motorola’s servers, at least after I adopted in to the Wellness Profile section of the Motorola Connect app. 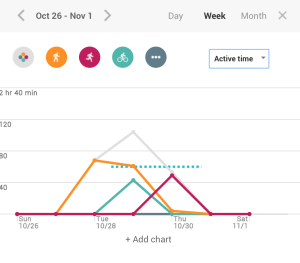 Until that data is used elsewhere, though, my FitBit will stay in my pocket, as I use it not just for the data, but for how that data interacts with services my MyFitnessPal. 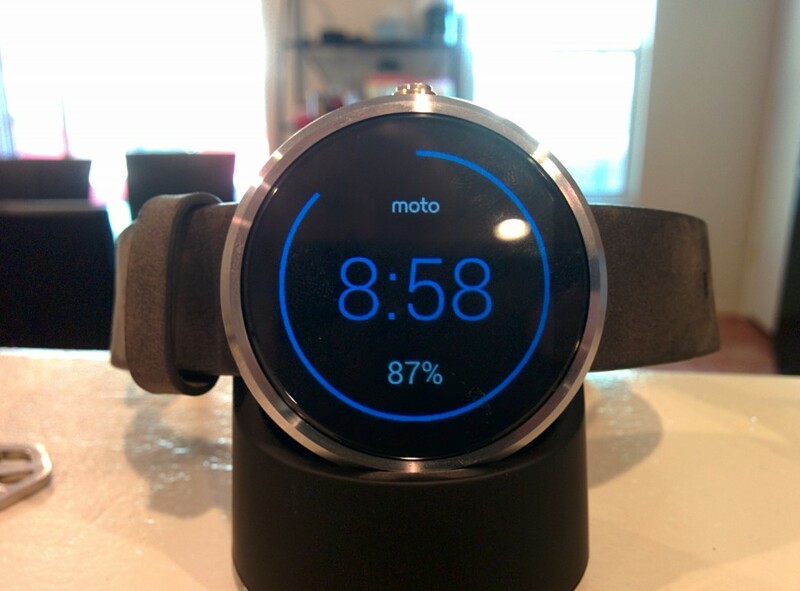 Overall, I’m pretty optimistic about the possibilities of the Moto 360 as a fitness device. 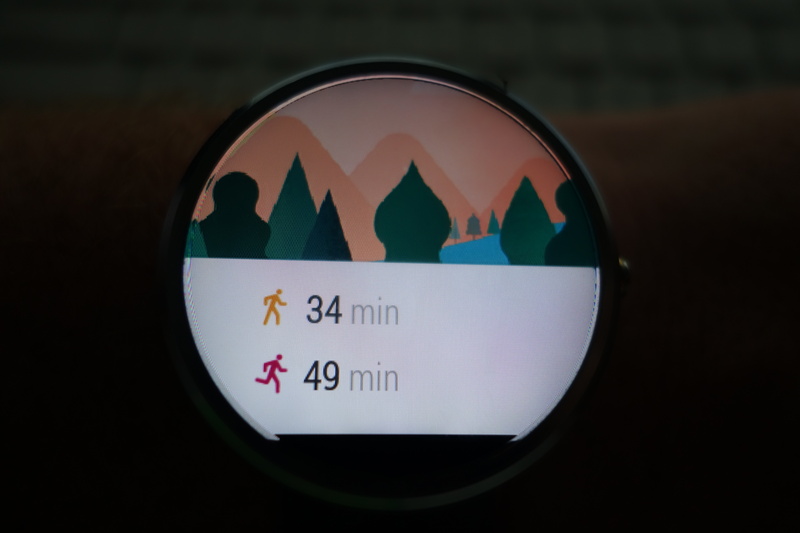 I don’t think it will replace true dedicated all-fitness devices like an expensive GPS watch, but I can certainly see it replacing the need to carry both a smartwatch and an ambient fitness tracker. 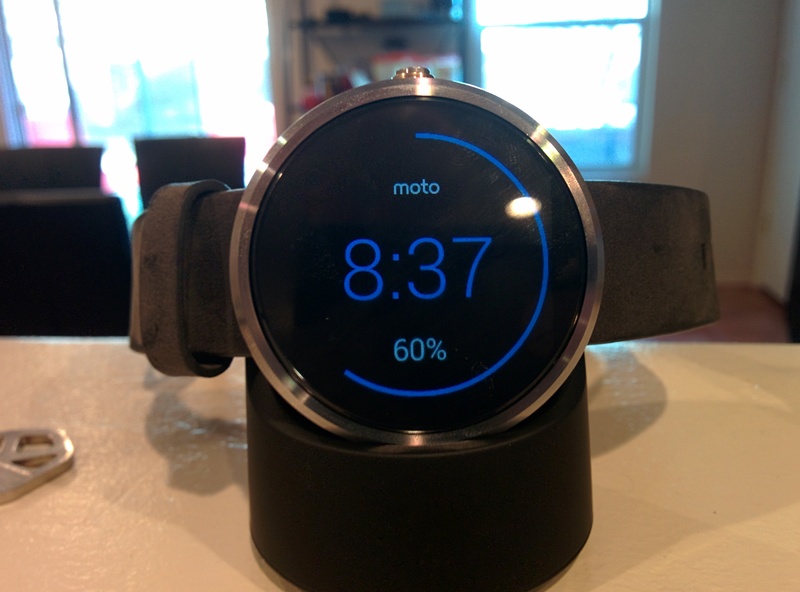 I still have a few things I want to test – I want to see how the Moto 360 responds to my workouts on a treadmill and stationary bike, and I want to see how battery life performs for rides/runs if I manually toggle the display off. 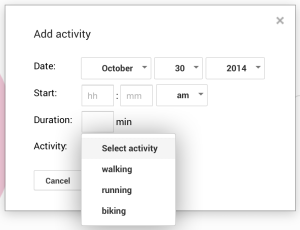 My theory is that it will accurately record the treadmill and not the stationary bike, but I’ve already been pleasantly surprised, so who knows? After all of that testing, I’ll make a final post with my findings – probably sometime early next week. I’m a strong believer in the union between technology and fitness; one of the things that sold me on the original Pebble was its RunKeeper integration. It’s actually a little distressing how easy it is to convince me to buy a new gadget if I can somehow convince myself it’ll help me. 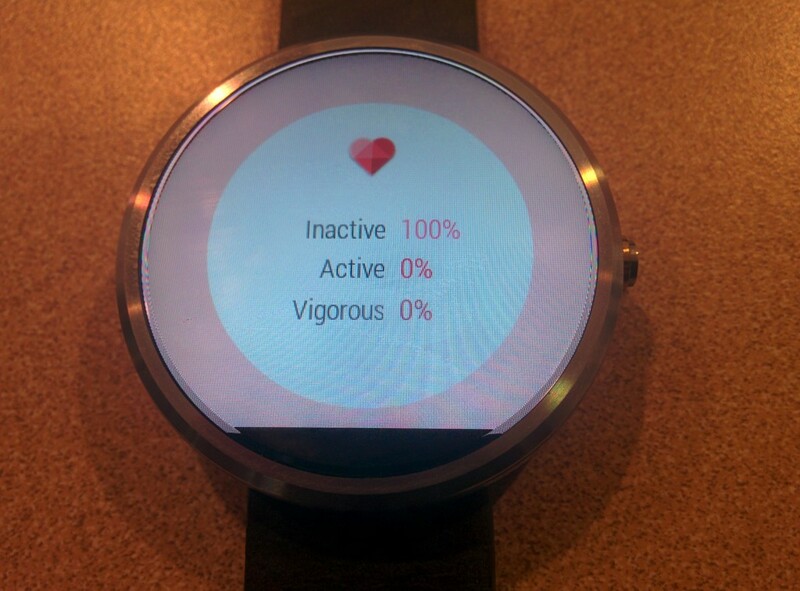 So, logically, one of the first things I did after I acquired my Moto 360 yesterday afternoon was take it out out on this morning’s run to compare it with Pebble’s performance in that same area. Unfortunately, I can’t compare it to other Android Wear watches, as I haven’t used them. 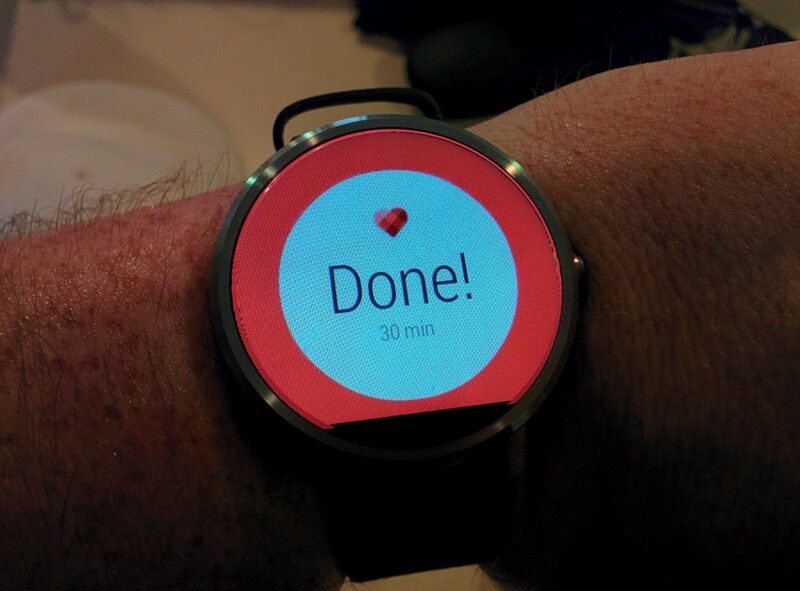 Unlike the Pebble RunKeeper app, I can start, pause, and end my run without taking my phone out of my pocket. This is actually pretty important, considering I run with my dog, and she stops to…do her business a bit more often than I’d like. Fumbling with a phone and a leash, while trying to pause my run, is not fun. The Moto 360 tracks both steps and heart rate – the step count seems pretty comparable to my FitBit. I can’t vouch for the accuracy of the heart rate, but it’s nice to know it’s being done. 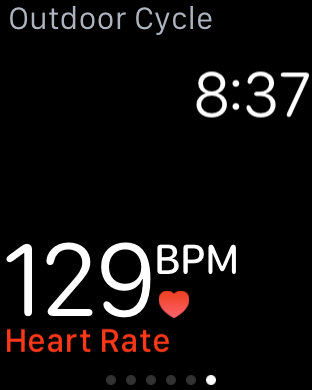 I’m hopeful that, in the future, RunKeeper can actually incorporate that heart rate data into my run and display it as part of the graph, as it currently does with standalone heart rate monitors. 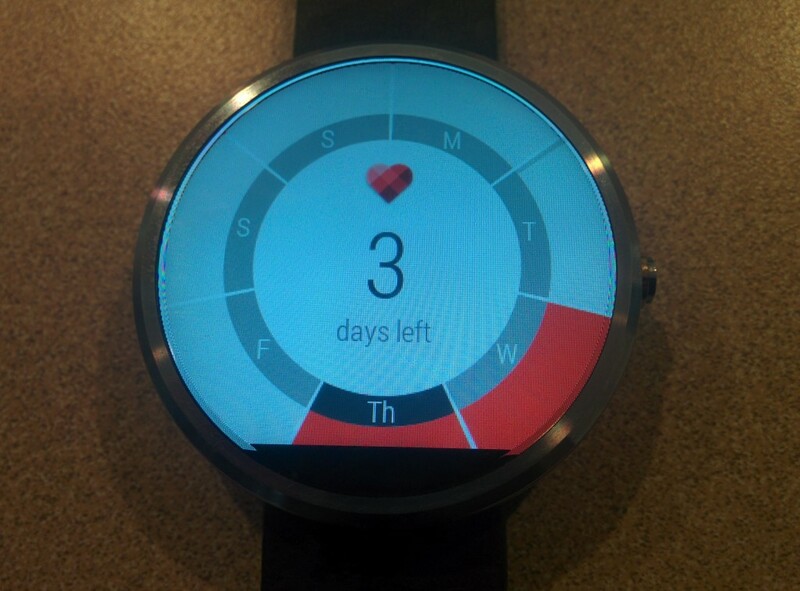 It was a nice surprise that it passively monitored my heart rate in the first place. 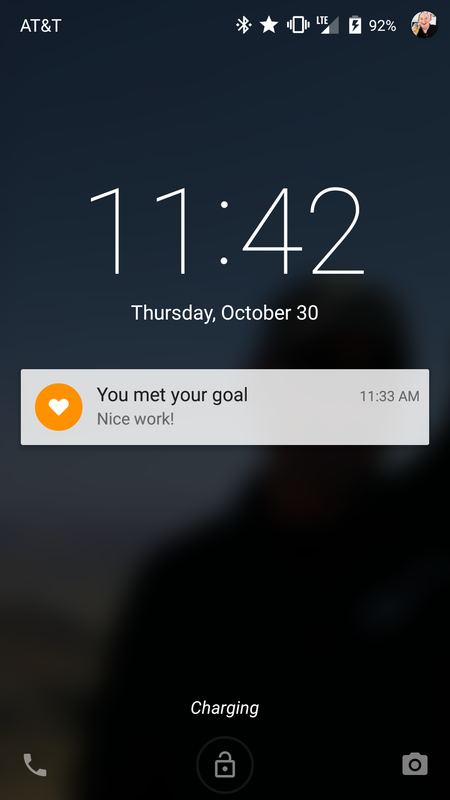 Incoming notifications don’t interrupt my RunKeeper display, unlike they do with the Pebble. 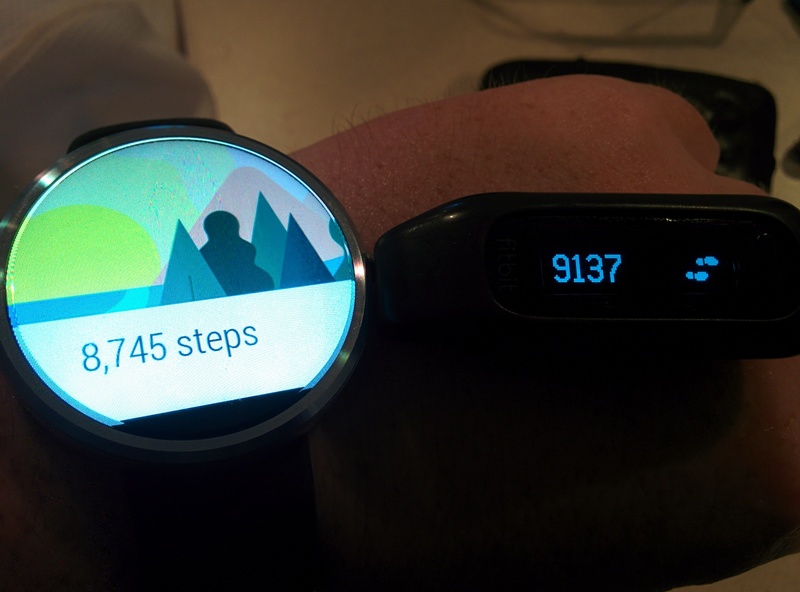 My wrist still vibrates to let me know something knew has come in, but the RunKeeper display remains on top. Battery life held up better than expected after the nightmare stories I’ve heard; it was down to about 65% when I got home, meaning it should last for about the length of a 3 hour bike ride or run – far longer than I usually do, though I have to wonder how well it’ll do during my upcoming half-marathon in January. 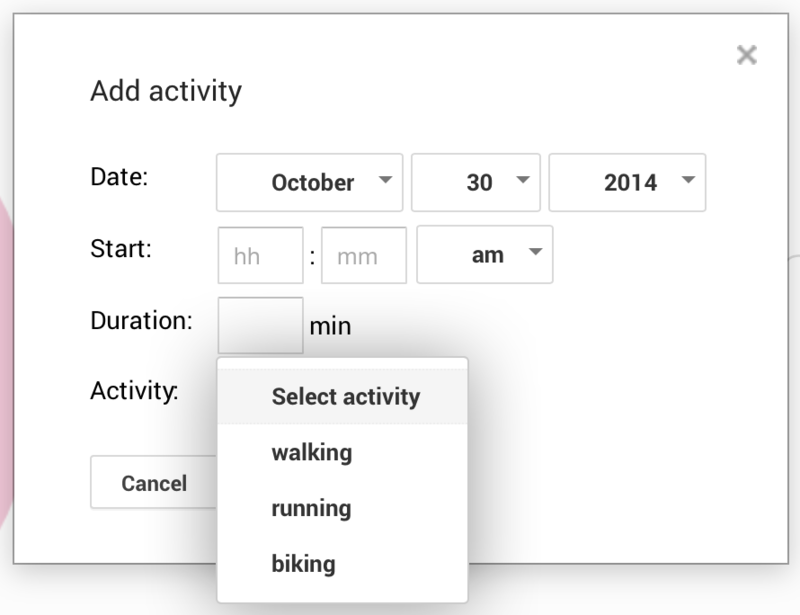 I’ll get a better sense for that once I start training in mid October. 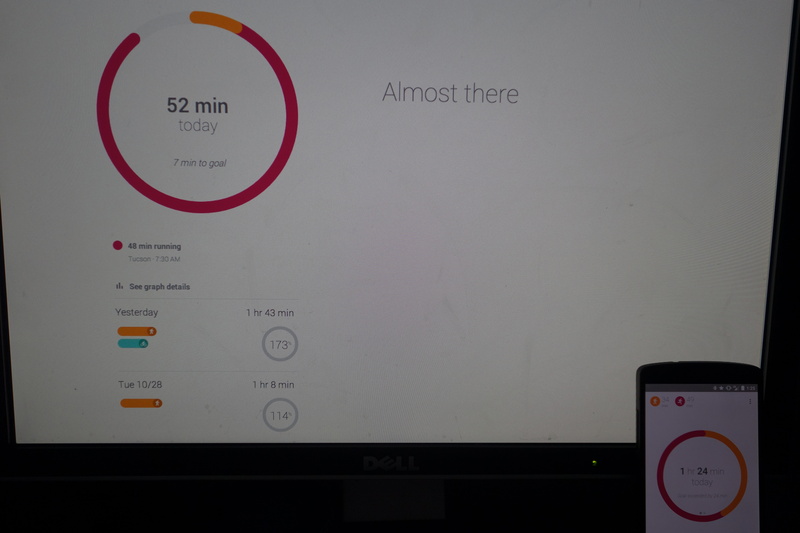 Although the 360’s display is always on when RunKeeper is active, it is also too dim to see in the morning Arizona sun. 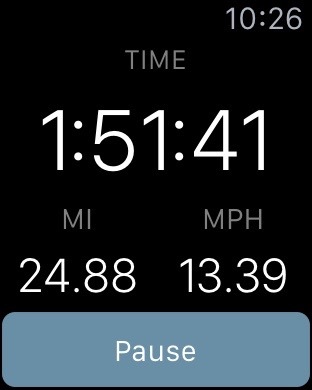 Tapping the display is necessary if I want to view my elapsed time and pace. 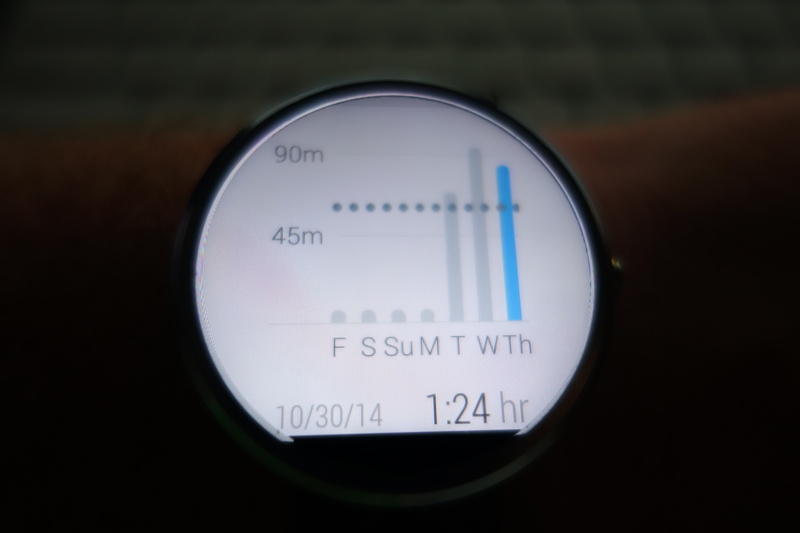 On the Pebble, this isn’t an issue as the display is always active and has the same ambient brightness. 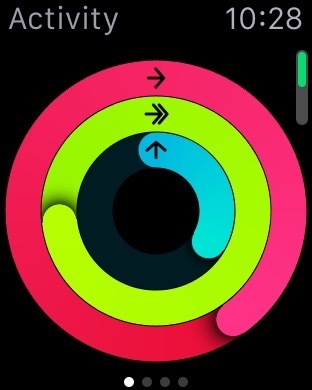 Since tapping the watch is necessary to view the display anyway, it’d be nice if there was an option to have the screen off until I tapped to view my current status. I’m sure that’d save a lot of battery life. 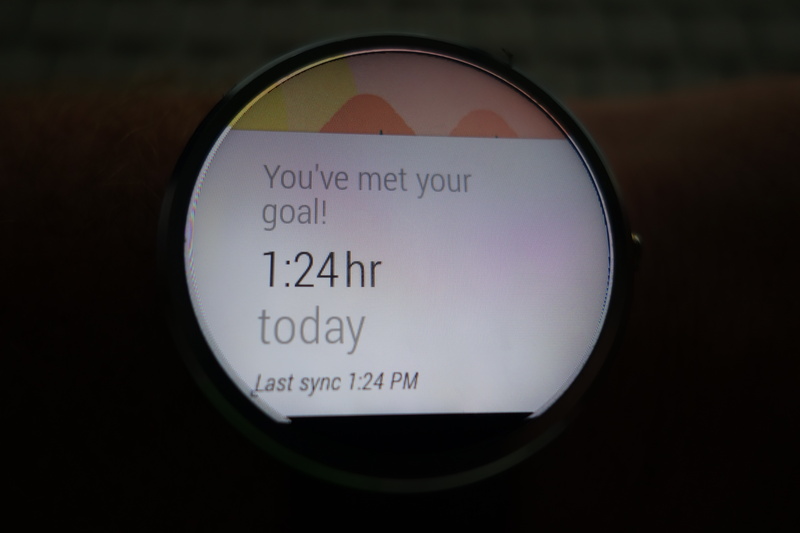 The Pebble relies on a rarely-updating display to maintain good battery life, which is why watch faces with something as simple as an active second hand will noticeably reduce battery life. 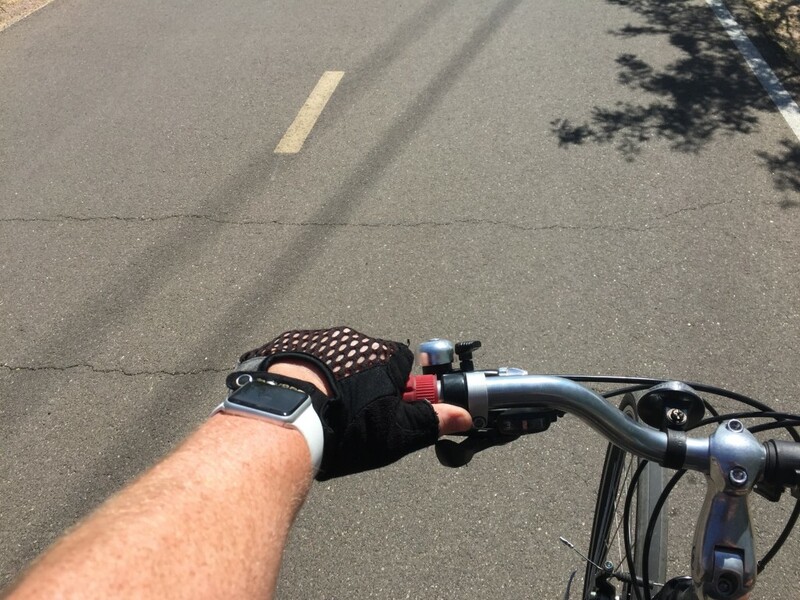 So, while battery can drain on the Pebble can be pretty heavy during “live” activities like RunKeeper, I can be confident that the watch will still make it at least the rest of the day after my run or ride. I’m not sure I can say the same thing about the 360. 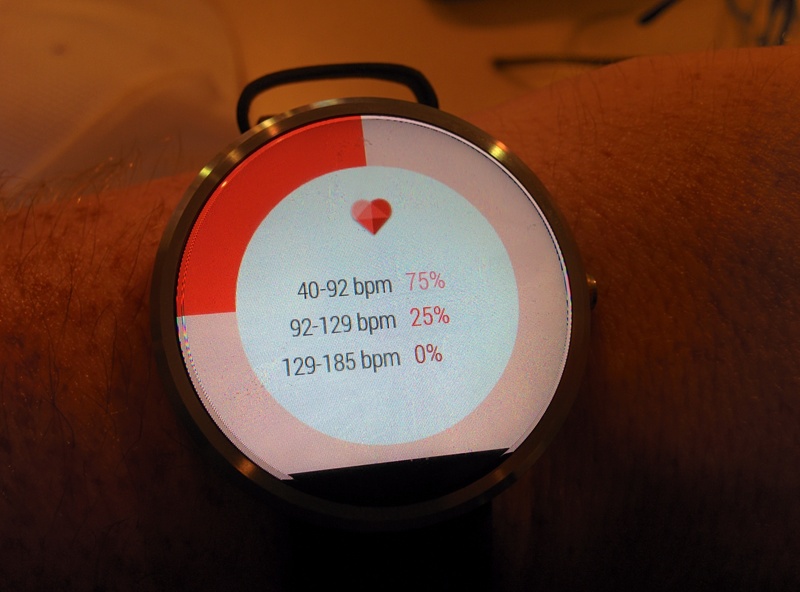 The 360’s touchscreen gets pretty gross after even light interaction during an hour long run; an unavoidable reality of a watch with a touchscreen, but no less obnoxious. 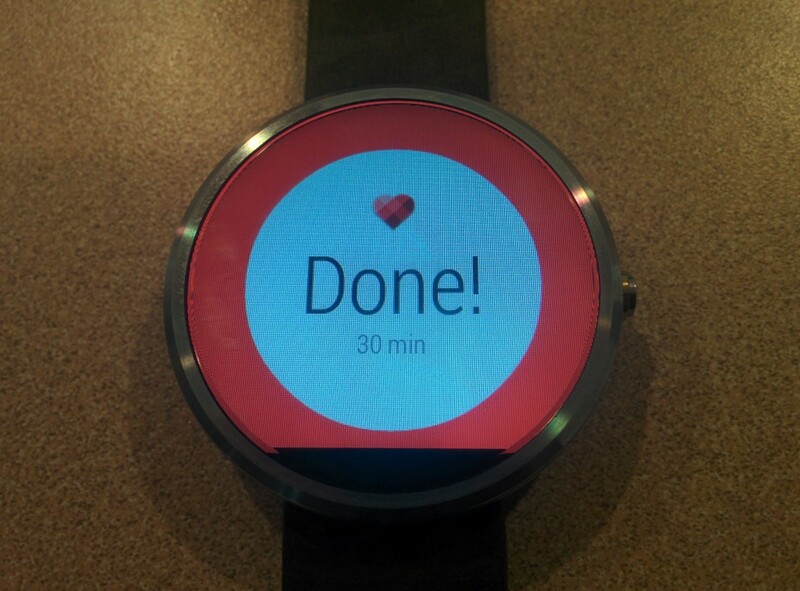 Sometimes, when I get home from work. When I shower in the morning. 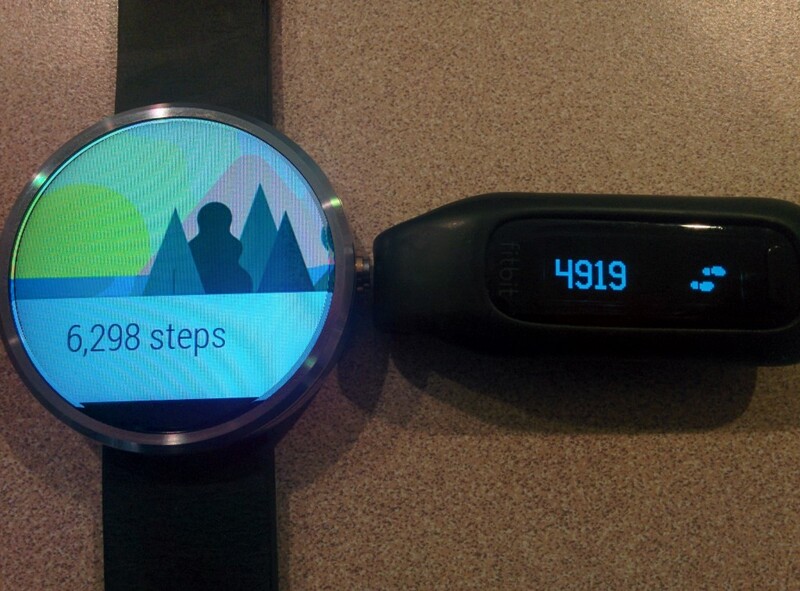 Overall, I came away more impressed with the 360-as-a-fitness-device than I expected to be. I’ve long said my ideal wearable would be a Pebble with a microphone combined with the functionality of a FitBit. 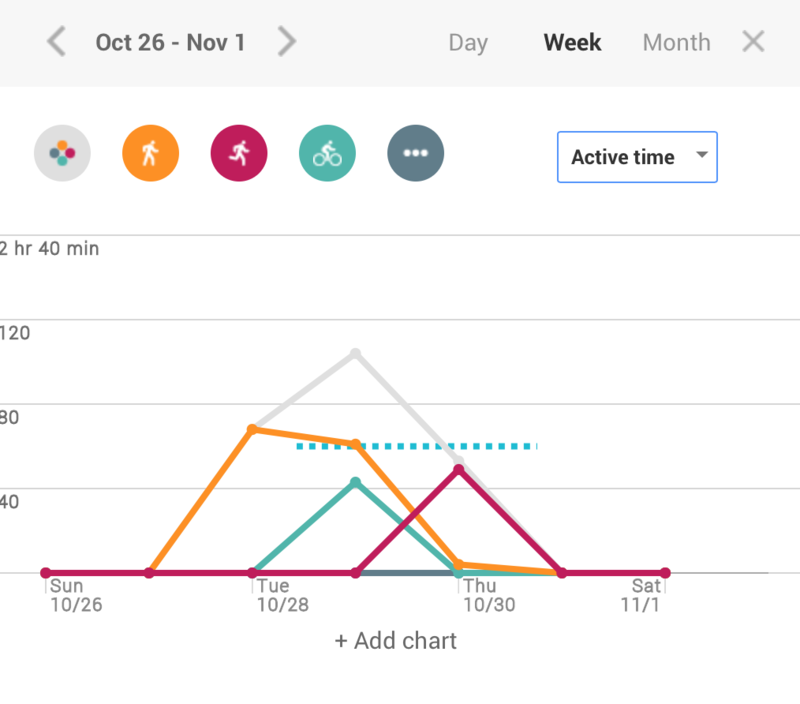 While the 360 isn’t quite enough for me to leave the house without my FitBit, it’s damn close – and if MyFitnessPal incorporates Android Wear data the same way it incorporates FitBit data, then the time may finally come where the FitBit can stay at home. 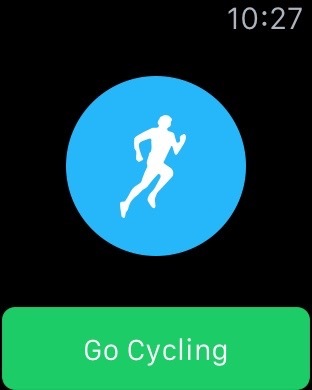 The only real question is how the 360 performs while biking, since I imagine I’ll be less comfortable tapping the display to wake it when I’m biking than when I’m running. Of course, that’s a post for tomorrow.